Do you know what the easiest way is to leak a product? One person sees it in confidence, maybe in prototype phase and then he uses what he saw to help designers create a render that shows the leaked device. 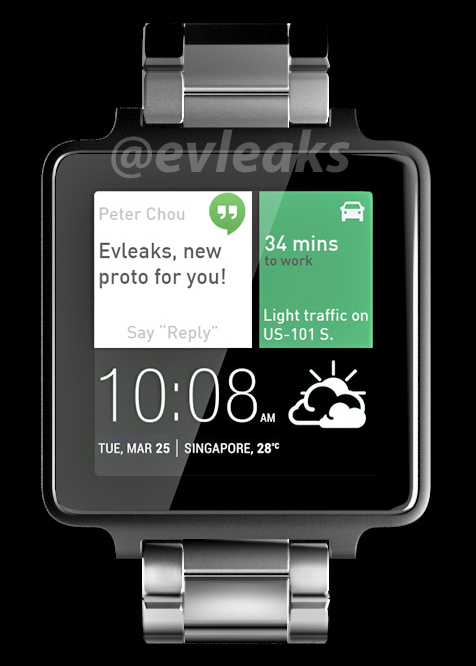 This is exactly what I think happened with @evleaks and the HTC smartwatch below. It has been created by the famous Jonas Daehnert and Ferry Passchier, both credited below. Dubbed simply HTC Android Wear, this model has some pretty big bezels for my taste and it’s also more elegant than the other Android Wear devices. It relies on a metallic belt and metallic body, with a highlighted display that really stands out from their body. The interface is tile-based, a bit like BlinkFeed in a smaller version.